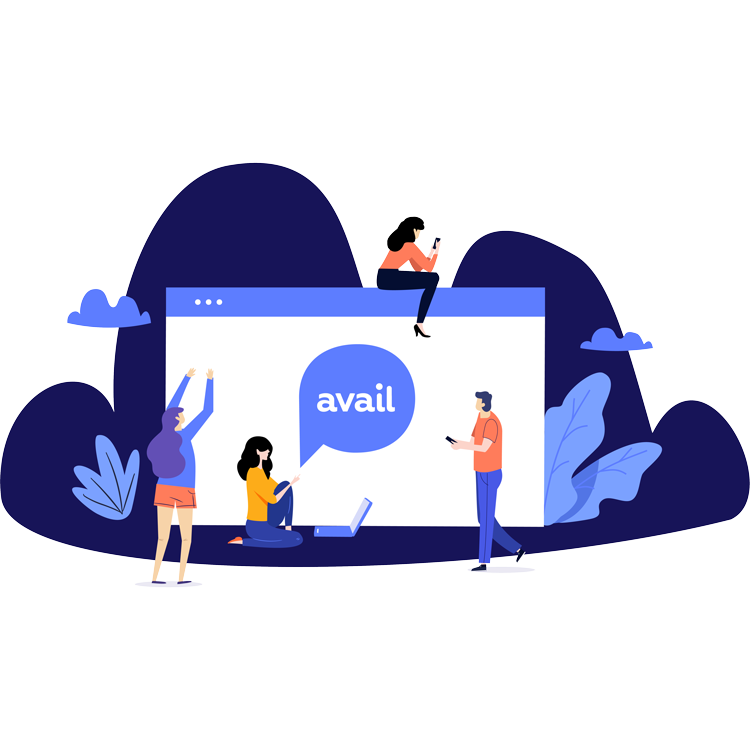 Transparency, innovation and providing our users with real product value are the core drivers of the Avail Product Team. We've decided to document our releases here to ensure our users are always up to date with what we're working on. Bookmarking, Reactions, Audio & Video Articles and More! Now you can bookmark your favourite tips and articles to read later or quickly find at a later date. Simply tap the bookmark icon on any article or tip and it will be added to your bookmark list. You can access your bookmarks from the sidebar. Let us know what you think about an article or tip by adding a reaction to it. Leave a reaction by selecting from one of the 3 emojis. If you have the time, you can also provide a text based comment. We review every comment! We’ve added new content types for audio and video based articles. Our content team is hard at work creating new, exciting content. Look for the play button on articles, it denotes playable content. Organization admins can now search and filter articles in addition to seeing reactions to their articles. Reactions will help organization authors improve their article content by learning what type of content their members find helpful. Provider Network, Organizations and More! As always, Avail has been hard at work to constantly improve our experience and value for all of our users. Here are some of the great updates you can expect in this new version. Avail has partnered with Shift Collab to bring a Care Provider Network of highly skilled Therapists, Social Workers and more to the Avail platform. Check out the new Care Path to continue your journey towards becoming your best you. Avail Groups have gotten a massive facelift and are now accessible though their own context. If you are a group administrator, you’ll now access your group settings from the top left hand corner of your screen. In this release we’re introducing two new apps. One for organizations (i.e. large groups) and one for care providers. These new applications add features for both of these users to help them manage their care ecosystem even more effectively on Avail. Both of these new apps can be accessed from the top left corner of the Avail interface. In addition to a number of small tweaks, improvements, the Avail Care Center has gotten a minor redesign to make accessing care resources even easier on your mobile device. You can now go straight to your Avail Report, access care resources and more all right from the care center. We’ve also fixed an important bug that blocked users from accessing video chat on our mobile application. We’re always working to make Avail better, faster & stronger. In this release we’ve made a number of techy changes to the software to speed it up and make it more efficient. You can now pick the category you want to update when checking-in on Avail. Simply go to your dashboard and click the on the category name in the “Weekly Overview” section. Some users were leaving the check-in screen without saving their answers and as a result we’ve now added a feature that checks to make sure that you do in fact want to end your check-in without saving. We’ve also made some small, but useful improvements to your dashboard. You can now see which well-being categories you’ve completed this week so that you know which ones you still need to complete. We’ve been hard at work at Avail HQ, and we’re excited to share our most significant update yet. There are too many updates to mention here, so here are our top 5! Care Center: Aside from the beautiful redesign, we’ve funnelled all of your resources into one location. You may also see the addition of our two new partners: Maple and Inkblot. Feel free to try their online doctors-on-demand or digital counselling directly through your Care Center. Balance Score: A new way to visualize whether you are over or under recovering and are over or under stressed. Let’s find that balance! Check-ins: New check-ins allow you to answer in blocks of 4 questions to update each health insight. You don’t have to stop after completing one round, keep going! Articles: Includes a new layout and brand new topics. Feel free to explore! We’ve made many small changes to improve your experience and would love to hear your thoughts. Feel free to respond to this message or send us a note by clicking the intercom button in the bottom corner of your screen. Notification Preferences: Finally, we have also made some improvements to our notification preferences so you can choose the time and day(s) on which you’ll be notified to check-in. If you ever have any feedback or questions be sure to send us an email.